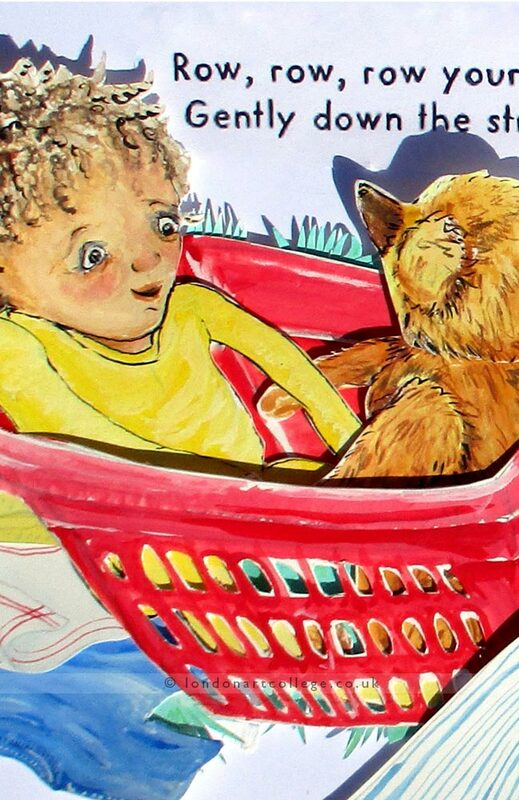 Welcome to Claire Nicholson’s amazing illustration for an assignment on the Illustrating Children’s Books Diploma Course. 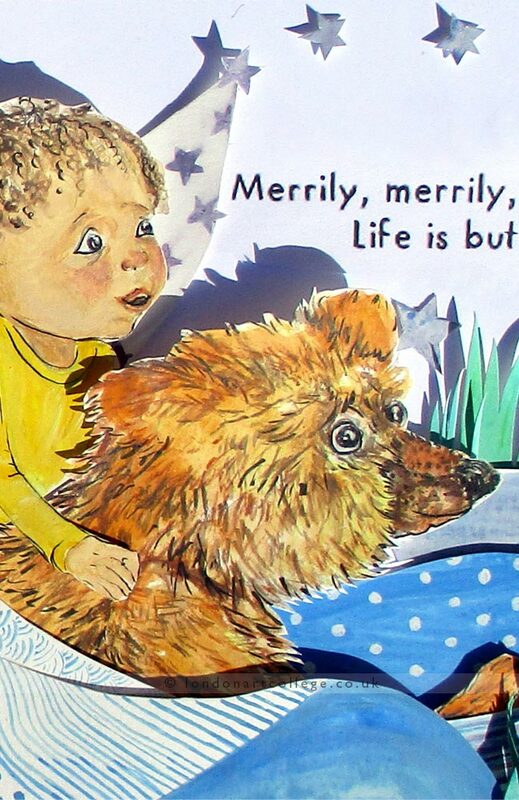 Clare has written a little about the illustrations below. Tutor Maggy Roberts was thrilled with Clare’s artwork and asked specifically for it to be shown here on our college news blog. 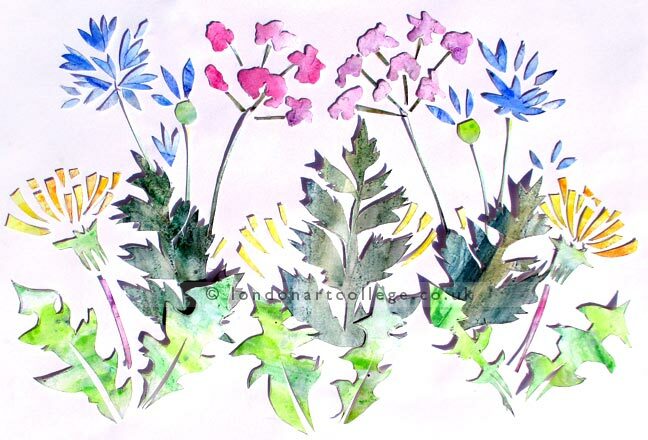 Assignment part 1 is my watercolour collage, using basic shapes of wildflowers. In my assignment part 2 I built the illustration up as a collage with 3D elements. For photographing the piece I lit it so that the 3D elements are visible, through the shadows.